Hey friends....did you have a great weekend? Well it's Monday now...so back to work!!! Today is my dads 87th birthday and this is the card I sent him. He is an avid fisherman and I thought this image would be perfect. Background is embossed and sanded. 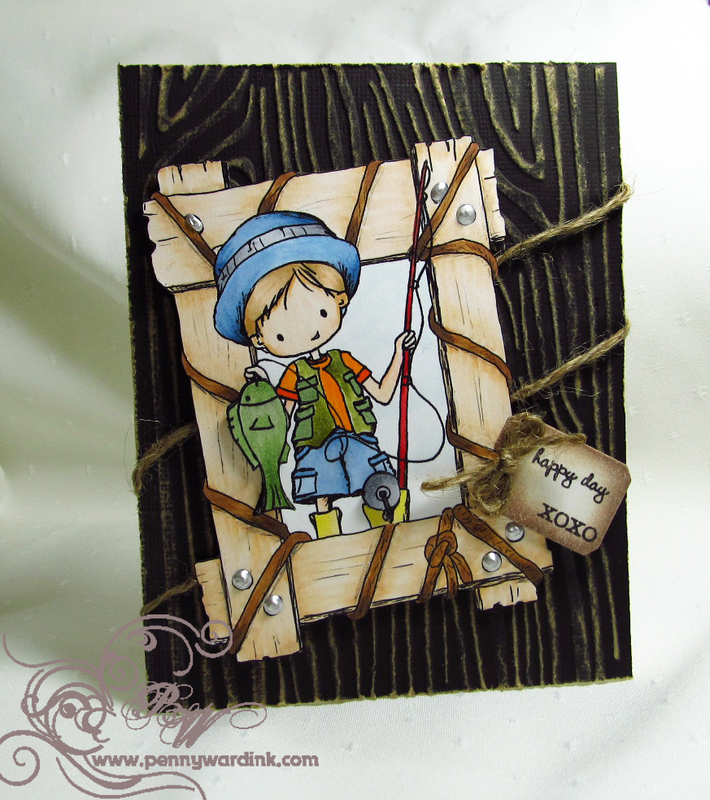 Added a die cut tag and some natural twine. Still time to enter the giveaway here. Drawing will be May 2nd...good luck!!! Hi Penny, love this masculine card. That image is way to cute too.